"King" redirects here. For other uses, see King (disambiguation). The King of Gnawnia has called brave mouse hunters to his kingdom to fight the mice that are destroying his lands. It is he that pays rewards to hunters. He also has the power to increase the title of a hunter. The King's name is currently a mystery, although speculation exists that his name has been determined by MouseHunt developers. A contest held in the Summer of 2008 garnered hundreds of guesses from players. When the contest ended, it was revealed by the developers that the King's name had not yet been correctly guessed. The King knows how bad the mouse problem is in Gnawnia from personal experience. On 10 September 2008, the King's Crown was stolen by a Master Burglar Mouse. The Master Burglar Mouse was later caught by a lucky hunter, resulting in the greatest single prize awarded in MouseHunt to date. 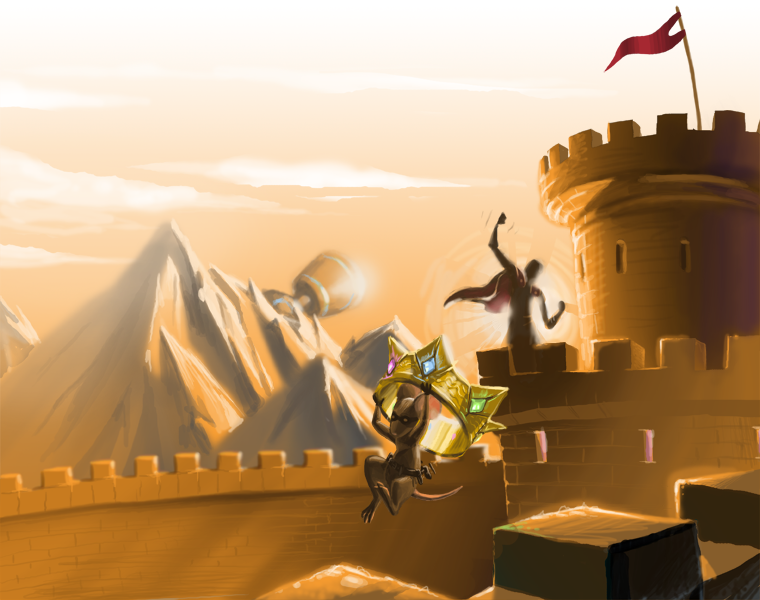 When MouseHunt is added to Facebook profile tab (a feature which has since been disabled), the background image features the King as well as the Master Burglar mouse. The King is the author of the Sandtail Call to Arms. This page was last edited on 25 February 2012, at 15:09.